Dr. Gordon Lai is a renowned interventional radiologist in San Francisco, California. He received his medical diploma from the State University of New York Downstate Medical Center College of Medicine in 1998. After getting his medical degree, he did an internship in internal medicine at Staten Island University Hospital. Dr. Lai completed his medical education with a residency in radiology at the University of California Irvine and a fellowship in vascular and interventional radiology at the University of Pennsylvania Health System. He is certified by the American Board in diagnostic radiology, vascular & interventional radiology. 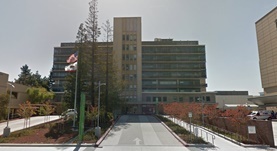 This doctor is affiliated with four hospitals in the area, including Kaiser Permanente San Francisco Medical Center, Kaiser Permanente South San Francisco, Kaiser Foundation Hospital and Kaiser Permanente Redwood City Medical Center. Dr. Lai can speak Korean and Spanish, besides English.